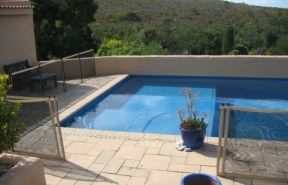 between the poles of 2 adjacent panels is 90mm max. 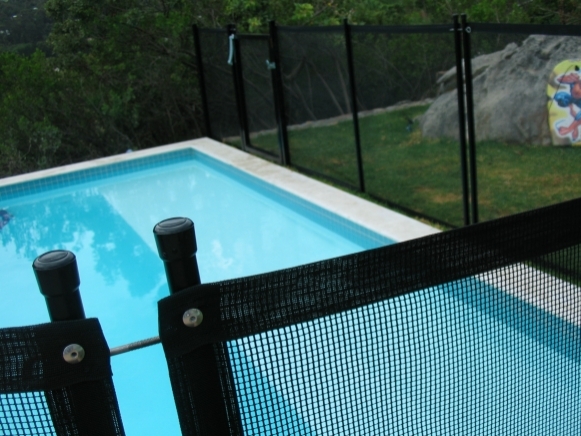 Recommended swimming pool fence height is 1.2m. 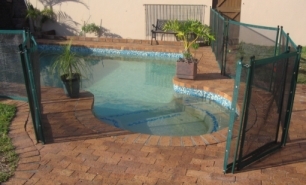 Self Closing gates open in towards the pool and are 750mm wide. adjacent upright is less than 10mm and impassable for little fingers. require basic tools and more time to remove and reinstall. 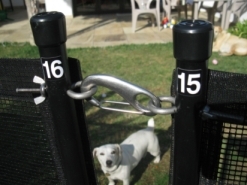 “gate closed sleeve” position, the toggle must be manually closed by an adult.